President Donald Trump has abruptly canceled his planned June 12 summit with North Korea’s Kim Jong Un, but online bettors think there’s still a chance the two leaders will meet face-to-face before the year’s end. “This missed opportunity is a truly sad moment in history,” the president concluded. PredictIt also asks whether Kim will be North Korea’s Supreme Leader at the end of the year (Yes 89 cents). That line has basically held steady over the last three months. “Whether the US will meet us at a meeting room or encounter us at nuclear-to-nuclear showdown is entirely dependent upon the decision and behavior of the United States,” Choe Son Hui, a vice minister in the North Korean Foreign Ministry, told the Korean Central News Agency. “You talk about your nuclear capabilities, but ours are so massive and powerful that I pray to God they will never have to be used,” Trump declared in his letter to Kim. 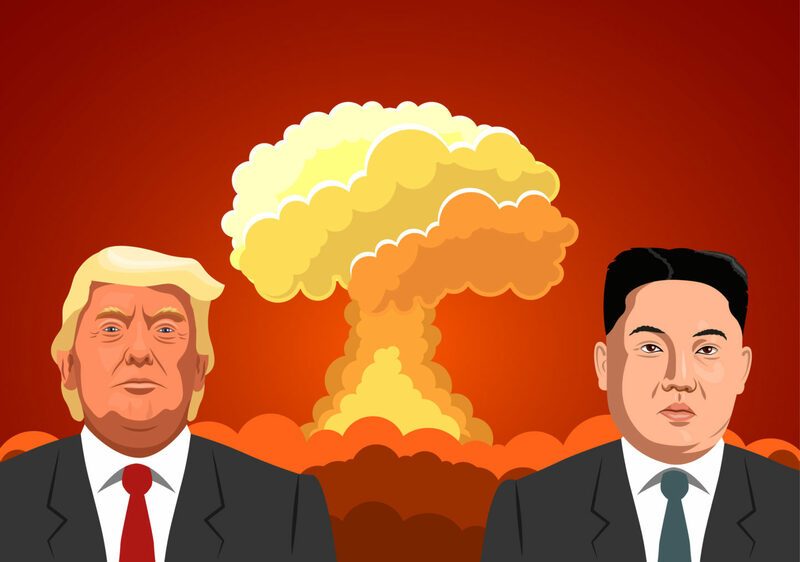 Irish bookmaker Paddy Power, which announced a merger with US-based daily fantasy sports company FanDuel this week, has offered odds on a nuclear war breaking out. While the threat of nuclear war is of course nothing to snicker at, Paddy Power’s other Trump specials certainly are. Always ready to offer the seemingly absurd prop bet, Paddy currently asks whether the president will compete in and win North Korea’s DPRK Amateur Golf Open. Those odds are at 500/1, which is an implied chance of 0.2 percent. Paddy also asks if Trump will confirm that aliens indeed exist (20/1), whether he and First Lady Melania will file for divorce (16/1), and even if the White House will confirm that Melania is in fact a robot (500/1). Speaking of appearances, bettors can take odds on Trump growing a “Hitler mustache” at 66/1, and the chance of the president and Russia’s Vladimir Putin taking a vacation together (66/1).